Millions of birds are injured or killed each year when they accidentally crash into windows, having mistaken the reflection of the sky for open space. The best way to prevent this is to break up the reflection with items placed on the outside of the windows (items places in the inside of the house will rarely work), which helps the birds notice the window, or at least slows their flight down enough to reduce injury. Any object can work, even strips of duct tape, but most people prefer to use something aesthetically pleasing, such as our Window Alert Decals or window mounted bird feeders. 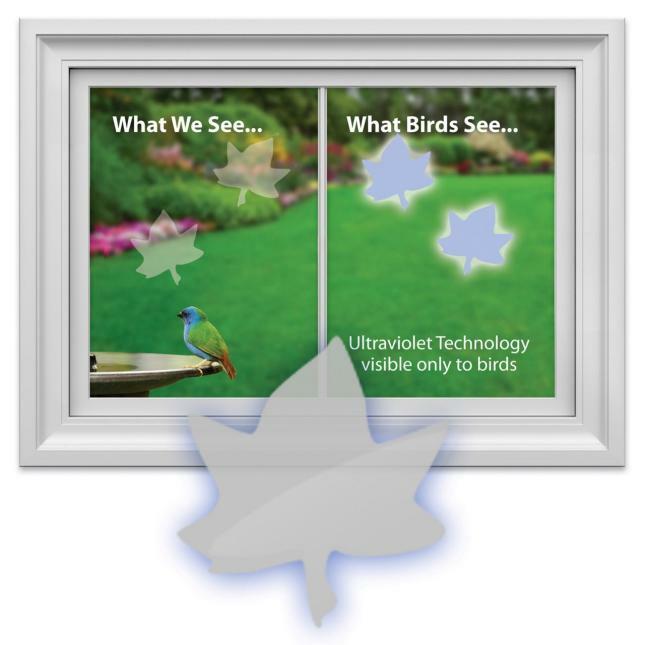 • Window Alerts are nearly clear, but have a UV coating the birds can see, but people don't. This coating will slowly wear off, so decals should be replaced every year or two, depending on how much direct sunlight they receive. 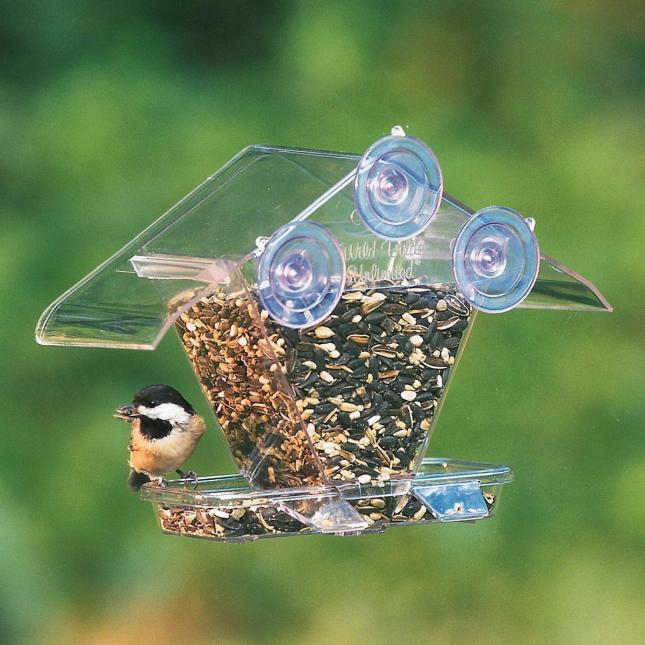 • Window mounted bird feeders give the birds a very strong focal point on the window, again breaking up the large reflection in the window, while also giving you a great show! Unlike accidental window strikes, during the spring and summer breeding season, it is very common for birds to see their own reflection in a window or vehicle mirror and try to fight with the "rival" birds. This is seen most frequently with cardinals and robins, but can occur with any species. This may be annoying to the homeowner, but rarely injures the birds. Aside from physically covering the entire outside of the window to hide the reflection or trying one of our scare tactics (stop by and see us for details), there is not much one can do other than wait it out. Typically, once the birds get serious about parental duties, the behavior will cease on its own within a few weeks. Only occasionally does this behavior go on longer.